Roswell spray foam insulation is liquid polyurethane that dries into a tough foam consistency over a surface. Because it’s liquid, it can fill in tiny cracks and holes that fiberglass can’t protect. Roswell spray foam insulation also doesn’t come with any health risks. Fiberglass is made up of wiry, pink fibers that can make the skin sore and itchy if exposed to it. These fibers come loose and can be inhaled. Breathing in the fibers can cause lesions inside of the mouth and esophagus. 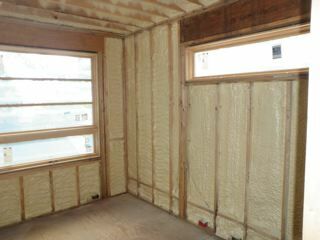 Spray foam doesn’t have tiny particles that break off and float into the air. It’s also harmless to the touch, but is so durable that it does not crumble off anyways. There are many different factors that affect the heating and cooling efficiency of your home. Were you aware that you could be losing a significant amount of energy savings around your doors, windows, and other fixtures? The best way to avoid unnecessary spending is by having your home visited by our total home efficiency specialists. With one visit we can greatly improve the energy efficiency of your home, providing you with the best solutions to the most common and overlooked efficiency issues that home owners have today. If you’re interested in getting the most out of your home and keeping your bills as low as possible, you should turn to our experienced contractors today. You need to keep your pipes properly insulated to prevent your home from suffering a disaster in the form of severe water damage. Insulated pipes are much less likely to freeze than those that are simply left bare. When the temperature drops, water in your pipes can freeze and expand, causing them to burst, which is a dangerous hazard for any home. However, these problems can often be avoided if your pipes are properly insulated. An insulated pipe is much less likely to suffer from freezing water, and it is kept safe against condensation which will end up resulting in corrosion damage and deterioration! 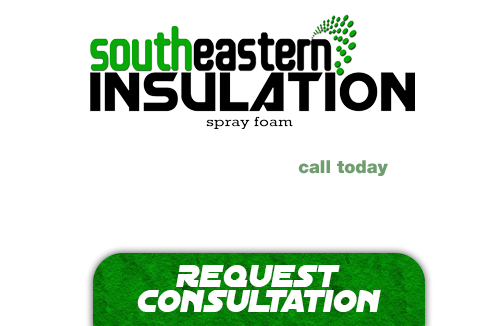 If you’re looking for a professional Roswell Spray Foam Contractor, then give us a call today at 678-561-FOAM (678-561-3626) or complete our request estimate form.